By all means accept the Blue and Gray Award. You have an excellent web site. You have put a lot of work in it and it shows. John C. Jobe, 1st Sgt. After looking at your site we all agreed that your site is everything we look for in a site. Very nice in deed. Attached is our web award that you may display on your site with pride. Please link the award to www.6thnjvol.cjb.net We have added your link to our awards page. Congratulations! You have a great site, and I am pleased to award you with Grunt's Web Award. We have some great news concerning your website and our Aloha Award. Dear Walter, After reviewing your web site, I found it to be deserving of the Silver Dollar award. Please accept this award, as appreciation for the creation of yet another outstanding service connected web site. Your web site is very well done, and I can see that you've spent a lot of time creating it. Your information about military personnel, and dedication to the well being of our men and women veterans and the Civil War is to be commended. your very own FLAME OF LIFE to show your support of our troops. Military World is pleased to announce your site has been reviewed and you have won our Certified Site Award. The sites are judged on content, functionality, graphics and usefulness to the general public. We spend a lot of time reviewing sites and not all make the grade. You have done a great job, keep up the good work! 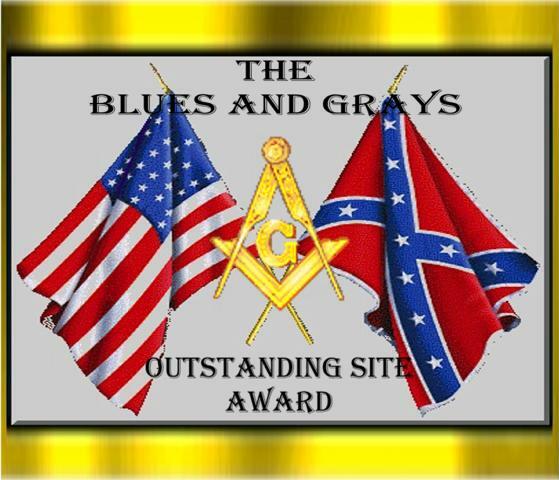 On behalf of the men and descendents of the 7th Mississippi please accept our 5 star award. Your efforts to represent living history is a worthy tribute to the men who served. The fact is that it helps in the education of people of all ages who need to understand this time in our nations history. Your web site is an excellent place to learn and remember. Best wishes for all continued success. Here is your award. Sorry for the delay. We are in the process of disbanding our reenacting unit. Thus you are the last one to receive the award. "Dear Walter: I have reviewed your site and found that it is indeed a Nice Site. It is always a pleasure to review sites that show a lot of hard work and dedication. I am awarding your site, the Third U.S. Artillery, Battery E, the Jackson Light Artillery Nice Site Award. Congratulations. 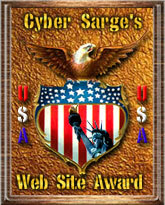 "Cyber Sarge's Web Site Presentation Award"